Bermuda Day is a public holiday held every year in Bermuda. It’s celebrated on the last Friday in May. It’s traditionally the first day of the year that locals will go into the sea. Many see Bermuda Day as the first day on which they can go out on the water after the winter — consequently, there’s always a rush over the ensuing long weekend to go to the pink, sandy beaches… get out on a boat… or go diving as the long hot summer season kicks off in earnest. It’s also traditionally the first day on which Bermuda shorts are worn as business attire, though in recent years Bermuda shorts are increasingly worn at any time of the year. To celebrate the holiday, there’s a huge street parade as well as a half-marathon road race from the west end of the island into Hamilton. 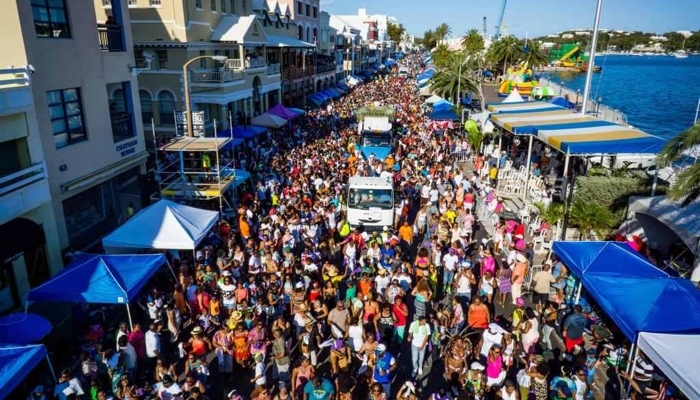 These events are popular with spectators, and residents are known to camp out and along particular sections of the route to enable them to grab the best spots to watch the parade floats and runners. If you’re on the Island, it’s a ‘must do’! If you’re a qualified accountant or lawyer who is interested in working offshore, visit our jobs portal to see the latest vacancies. Our site includes a downloadable All You Need to Know guide which will tell you all you need to know about living and working offshore.